while providing payment and delivery guarantee. 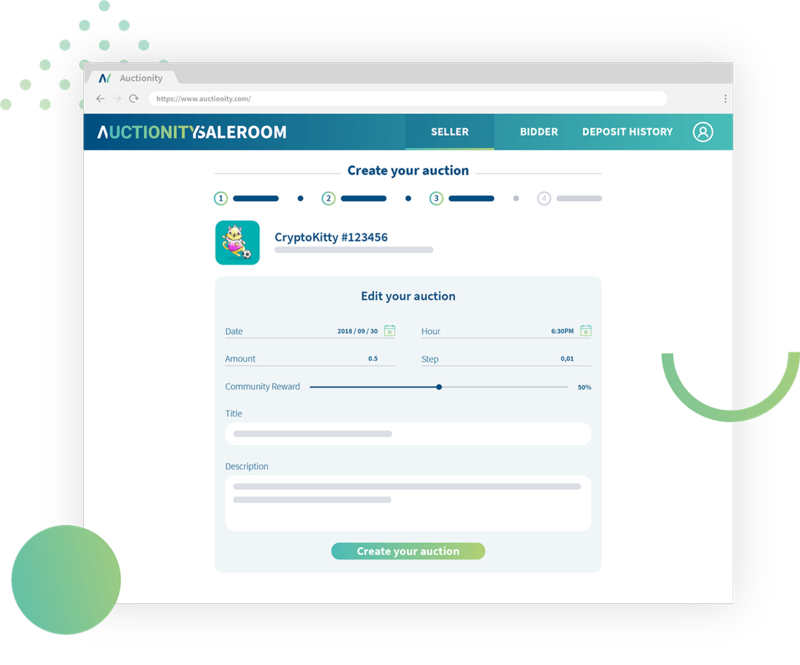 You can now sell your favorite NFTs directly on the Auctionity Saleroom by transferring them onto your account and creating your auctions on the Auctionity smart contract.  See an asset you like? Place bids on existing auctions using the ETH balance on your account. 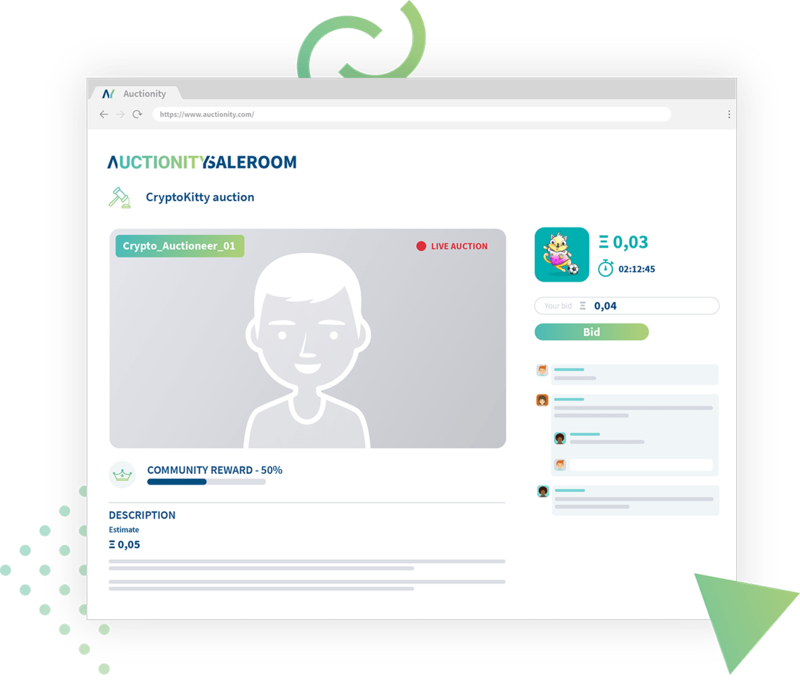 Auctionity is all about the community: become an auctioneer AND livestream auctions, and you'll earn part of the final auction price! 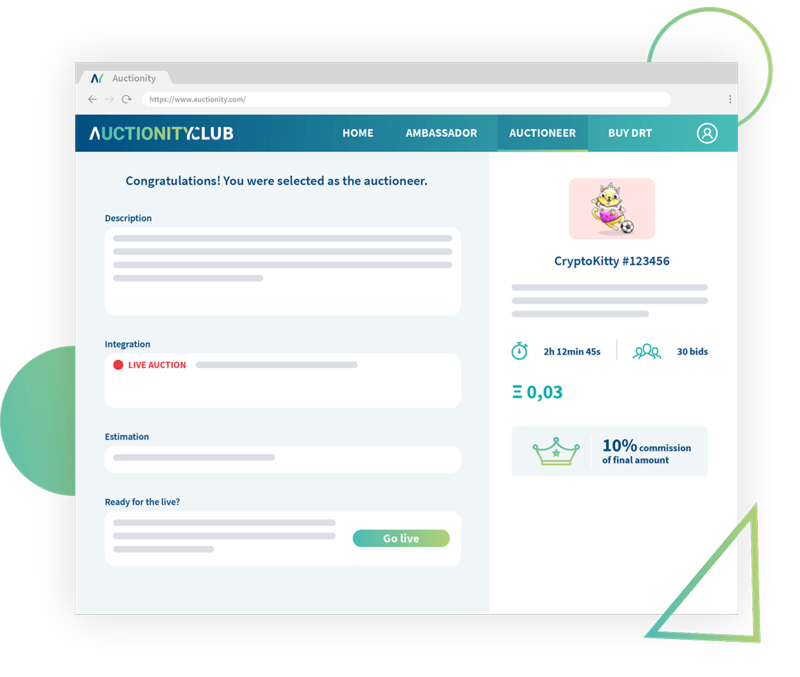 With Auctionity, auctions become viral thanks to the community. 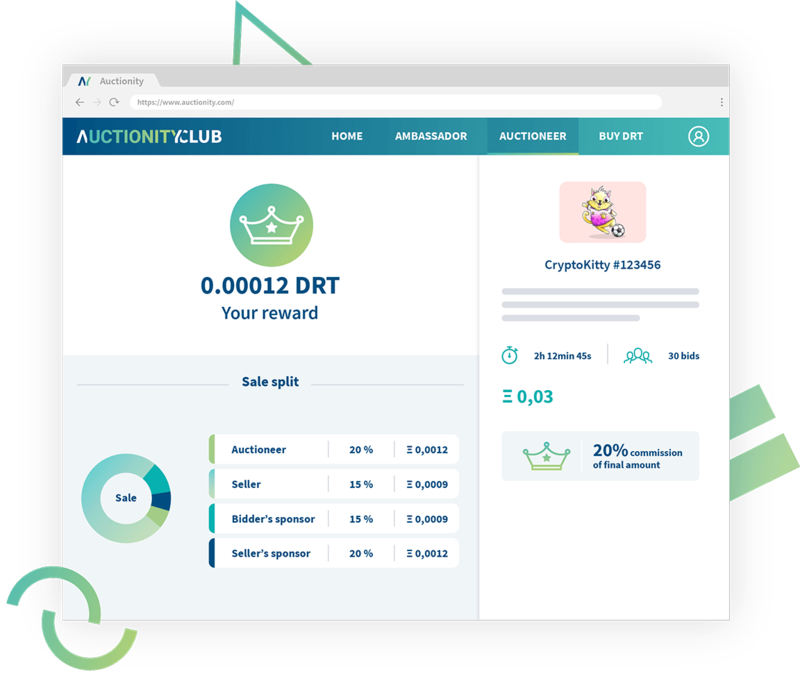 It allows everyone to earn money by promoting auctions on the platform. The seller is ensured that he will be paid at the end of the auction. Gives the buyer assurance that he will receive the asset he purchased at auctions. Payment guarantee for all auctions.